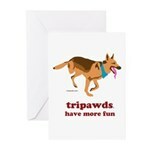 Hey Tripawds Nation, it’s time to celebrate spring with a whopping 25 percent savings in the Tripawds Etsy Shop! 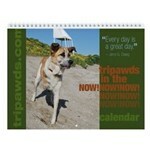 For the next seven days you can save on anything from custom Tripawd Pride rings to personalized pet tags and more. Just spend at least $30 and you’ll save 25 percent on your entire purchase! 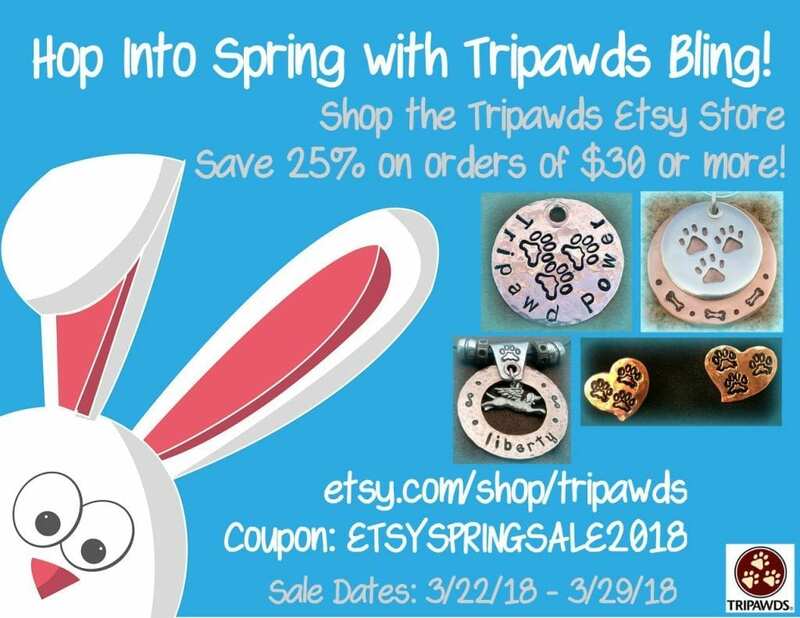 Now’s the time to get your order in for custom pendants, charms and other items that make perfect gifts for Tripawd Mother’s Day on Sunday May 13. This sale is for seven days only, so hurry and bounce on in. 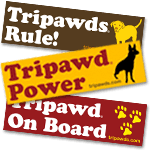 Shop the Tripawds Etsy Store Now and Save!